Today, Im glad to welcome author and non-profit development expert Mazarine Treyz for our next Learn from an Authority interview. I talked with Mazarine to learn about how charitable organizations can more effectively use social media. Mazarine is the author of The Wild Womans Guide to Fundraising and the recently released Wild Womans Guide to Social Media. 1. Mazarine, one of the biggest questions I get from non-profits worldwide is, what can social media do for me? How can being active on social networks benefit a non-profit organization? Joe, thank you so much for interviewing me! Non-profits can use social media to become known as having solutions in their field. They can become a trusted authority, which can lead to more opportunities and donations. 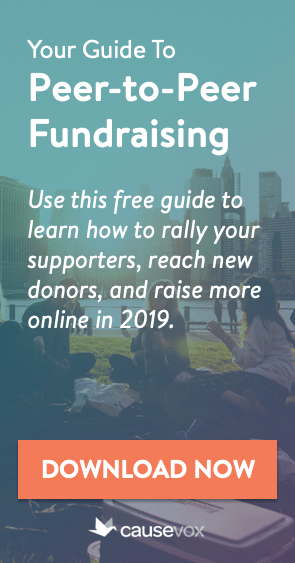 You can get more e-newsletter signups, which helps remind donors what you are doing, and that allows you gain a groundswell of support. Social media has helped me grow my business enormously, and I know it works for lots of nonprofits. This is why I wrote my book, The Wild Woman’s Guide to Social Media. Take, for example, Wildlife Direct. They were featured in Beth Kanter’s The Networked Nonprofit. They help preserve wildlife and wild places in various African countries. They raised $350,000 through social media, with people giving who were never going to see the programs. How did they do that? Well, believe it or not, they made 72 blogs, one for each kind of animal that they were protecting. You can see those 72 blogs here. I can hear you asking, “who WROTE all of these blogs?” The answer is volunteers and program staff working with them across the globe. You don’t have to create 72 blogs for your non-profit. But think about making a blog for each of your program areas. 2. Should every non-profit be using social media, or are there some organizations that should simply focus on other things? I think every nonprofit should use social media, but you should get email nailed first. And you need to create a marketing budget for social media. You have to invest in it to get a benefit from it. Don’t just treat it like a free marketing channel. It’s not free. It takes time to make it work. And it could be 18 months before you see a donation from it. But it’s a wonderful way to engage your supporters, keep reminding them that you exist, and that you have fun chances for them to get involved. Nonprofits need to focus on stewardship… and social media can help them do that. 3. For a new organization or one that is not yet on social networks, how do they get started with social media? Start with your e-newsletter. Create a communications calendar and send out one e-newsletter per month. This will help you start to build consistency in your communications. If you’ve already done this, then start to post a link to your e-newsletter on a facebook page or twitter page. 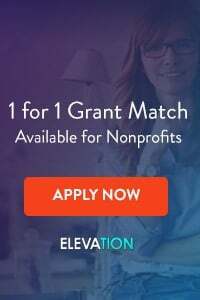 Once you’ve done that, think about starting a blog for your nonprofit, highlighting your services, your volunteers, your beneficiaries, your donors, and more. 4. Lets talk about gaining traction online. Some non-profit organizations I’ve spoken with are having trouble gaining followers on Facebook and Twitter. They are on there, they post and Tweet regularly, but they are showing anemic numbers. What can non-profits do to boost their follower counts on social media sites? If you want to increase your Twitter follower count, one tool that I have used is called TweetBig. It’s not free, but it’s pretty cheap, and it tells you what people care about, (so you can find people who care about your cause) and how likely people are to follow you back, as well. Another thing you can do to increase your follower count is to have conversations on Twitter. Participate in hashtag chats, like #smNPchat run by Pamela Grow, or the #fundchat. And you can always start your own cause-specific chat as well. I would recommend dropping Facebook altogether, unless you know for certain that people come to events or volunteer because they saw your event on Facebook. This is why it’s important to do a survey of people who give, as well as your volunteers and event attendees, because then you know which channels are working for you, and which ones you can drop. What about LinkedIn? I managed to get attendance at a nonprofit job fair up from 500 to 1,500 people in one year through social media outreach, as well as radio, a banner, and TV ads. However, this wasn’t a major fundraising event, this was free to attendees. We raised our money through sponsors and vendors, and only raised about $45,000. Most attendees who came said they found us through LinkedIn. I think this is a special case, because it was a career fair, and Linkedin is the perfect place for people to look for jobs. However, if this is something that your nonprofit does, I would recommend that you go to LinkedIn to promote your events. The vendors at our career fair said it was the most qualified pool of applicants they had seen in years, AND they called it the best career fair in 8 years. So that was gratifying. The main thing to do is to survey your donor list and see where people are active. Are they on Twitter, are they on Facebook or Linkedin? If not, then don’t worry about trying to reach them in those places. It’s better to keep the donors you have, and email them on a regular basis, than it is to try to find new donors on these social media channels. The level of noise is so high on these social media channels that if you don’t mention someone by name, they are apt to forget that your nonprofit twitter account even exists. I’ve followed a lot of foundations and discovered that their tweets were not improving my life in any way, so I unfollowed them. You can still keep foundations you’re looking for funding from in a list, but you don’t have to follow them to do that. You need to get email nailed before you try to do social media platforms. Why? Because email is where people start their day. 5. Many non-profits that have tried to be active on social media become frustrated when trying to turn that activity into financial support. 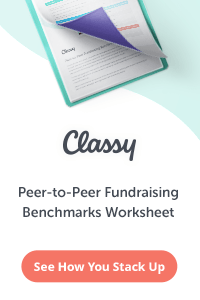 What is the best way for an organization to use social networks for fundraising? The thing they should remember is that these sites are going to go away. So the best thing to do is to drive people to sign up for your nonprofit e-newsletter, and every activity you do on any social media platform, whether it’s LinkedIn, Twitter, Facebook, etc, is to drive people to do that. If you are driving people to Facebook and to Twitter, you are building their businesses, not your own nonprofit audience. For example, Facebook is going to start charging you for access to your own fans now so you have no way of interacting with them unless you’ve gathered their email addresses. Nonprofits should have a social media strategy, and a way to benchmark that strategy to see if they are achieving their goals, as opposed to just tracking how many followers or likes they have. Are you sure that your social media efforts are effective? 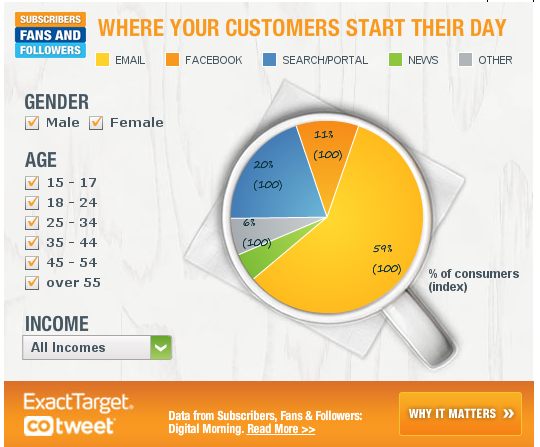 If you’re relying simply on follower counts, you may be missing am more important metric: action. For example, BJ Mendelson, who has 735,000 followers on twitter, announced he was going to do a fundraising campaign, and asked each of his followers to give $5, to help him raise a million for a cause. And then, he raised $1. So he wrote a book called Social Media is BS. Even Beth Kanter, who has almost 500,000 followers, tried to raise money for two months on Twitter, and managed to raise $16,000. So…. $16,000 isn’t bad, but is it worth two months of strenuous effort? Social media is an excellent way to keep in contact and thank your supporters, it is excellent for stewardship, if your donors are on the site anyway, but again, you need to make sure that they are there, and that they don’t mind being thanked there. Some people want to be anonymous. 6. How long should a non-profit be spending per day on social networking sites? Try to spend 15-30 minutes, just checking in. You can use HootSuite to schedule tweets/facebook posts/linkedin posts weeks or months in advance, and if there are influencers that you’d like to gain the attention of, you can use the free tool If This Than That to automatically post their blog posts to your Twitter stream. Influencers, in my world, are people who have over 2,000 twitter followers, and who have a large audience for their website. How can you tell if they have a large audience? Install the free SEOBook plugin for Firefox, it will show you how many incoming links a website has. The more incoming links, the more popular the site is. For example, my site, which has 21,000 monthly readers, has 54,000 backlinks. You can see the evidence here. 7. 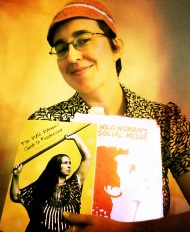 You’ve put together a great resource for non-profits in your new book, Wild Womans Guide to Social Media. Are there any other projects you are currently working on that you’d like our readers to know about? Yes! I’m working on a place for people to go and get fundraising help, resources, gain community and more, it’s under wraps right now, but I’ll be announcing it in 2013 so stay tuned!